This is your guide to RV campgrounds on the Oregon Coast, plus top things to see and do at each destination. If you love to bring your home with you when you travel, then you’ll love the Oregon Coast for its scenic drives and well-equipped RV campgrounds along the way. Watch the landscape transform from wide open beaches to windy roads through old growth forests and emerge in quaint seaside towns where fresh bowls of clam chowder await. 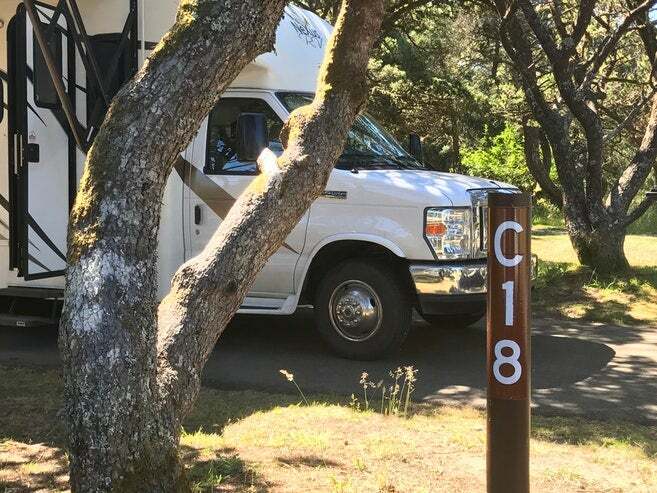 RV campers on the Oregon Coast will find much to love; from turquoise water crashing on mossy cliffs in the Samuel H. Boardman Scenic Corridor, to the foggy hills of Astoria, there is seemingly every kind of coastal vibe between the borders of California and Washington. But with so many RV campgrounds to choose from, deciding where to park will likely be the hardest part. The Oregon Coast is a special place. We might be a little biased since The Dyrt is based in Oregon. But we think it might be the most beautiful coastline in the country. 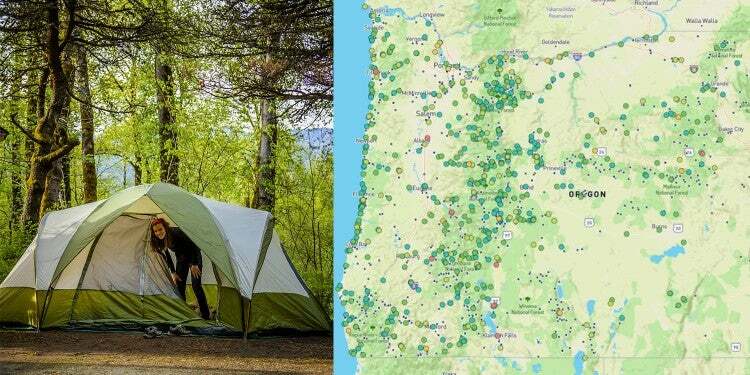 Make a road trip out of these 7 RV campgrounds in Oregon, and you can decide for yourself. You’ll want to make a lot of stops along the Oregon Coast. But when it comes to parking and sleeping, these are some of the most highly recommended spots. Fort Stevens State Park lies at the mouth of the Columbia River on the Northern tip of the Oregon Coast. You’ll find the rusted skeleton of a ship on the beach; evidence of this notoriously dangerous section of the sea. The moody atmosphere of the Oregon Coast comes out in full-force around here. Winters see big waves and storms, and fog lingers through the warmer months, too — but that’s part of the charm. Camping is open year-round, and RV campgrounds at Fort Stevens State Park can be reserved for $34. “The staff was incredibly friendly. Clean facilities, huge spots, and lots of great trails.” — The Dyrt camper Sara S.
Tent and RV campers will enjoy the proximity to Necanium River at Circle Creek RV Park in Seaside. There are 44 paved, full hook-up sites on 11.5 acres of riverside property, where guests can relax after a day of beach classics like arcades and salt water taffy. Seaside might feel like the most stereotypically “beach” town along the coast, with a boardwalk and plenty of souvenir shops to keep tourists busy. Embrace the pastel covered charm of a coastal vacation, and then retreat to your cozy RV. “It was raining while we were here but it’s a beautiful spot and if you’ve got an RV who cares about the rain! I really like the spots towards the back that back up to the trees and the Necanium River. 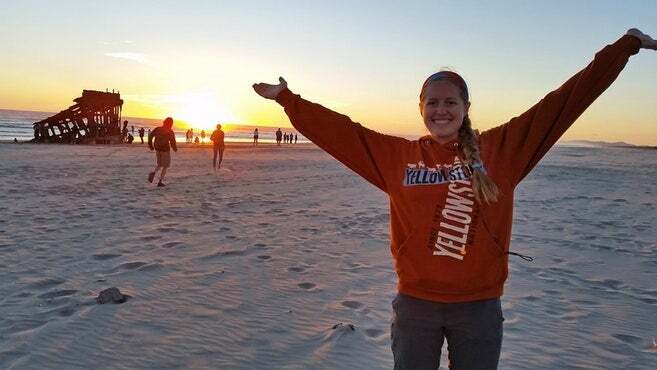 They even have onsite laundry facilities and clean bathrooms/showers.” — The Dyrt camper Alicia F.
Oregon has a surplus of stunning coastline, but one reviewer claims that Nehalem Bay is “one of the most beautiful” among them. 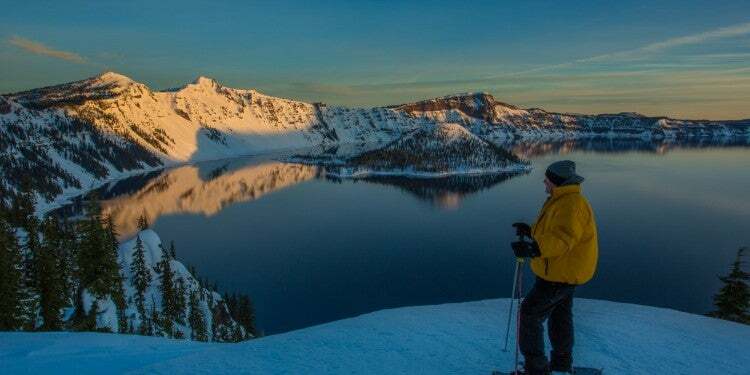 You’ll definitely need to reserve a spot in advance during the summer months at this popular park. Rolling sand dunes border the campground and a 1.8-mile bike path makes exploring the beach a breeze. 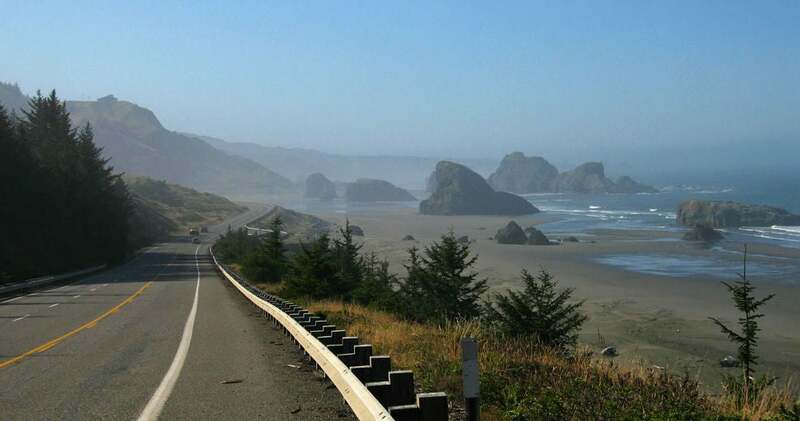 “Even the breathtaking view from the highway is enough to go to Nehalem Bay State Park. The campground is nice, enough room to not feel packed in. The beach walk is steep and long, but oh so worth it! The beach is amazing…like when you all of a sudden look up and there’s the beach….it’s mind blowingly beautiful.” — The Dyrt camper Melissa B. Image from The Dyrt camper Colleen T.
Garibaldi Harbor is a seafood lover’s haven, and Harborview Inn and RV Park is smack in the middle of fresh catches and the restaurants that serve them. Alongside plentiful fish and chips you’ll find museums, antique shops, and a historic steam train (which you can still ride!) These RV campgrounds at Harborview enjoy ocean views and walking distance to all the fun stuff in town. “In the cute little fishing town of Garibaldi, on the Oregon Coast, we found this gem of an RV park. Waterfront, full hookup sites with a great view led us to build a fire in fire pit provided and sit outside in December!” — The Dyrt Camper Colleen T.
Image from The Dyrt camper Ryan E.
The giant sand dune of Cape Kiwanis is a short walk from Pacific City RV and Camping Resort. Bring your stamina to walk up the giant sand dune, and bring a sand board to slide down after enjoying views from the top. Camping here includes fire pits, hot showers, and hookups, along with visits from neighborhood bunnies that are known to play around the park. “Lots of options here. Tent sites and small cabins that are somewhat private. There are good bathrooms with showers on site, a sand volleyball court, a store, little wild bunnies running around, and great fire pits at each site. What more could you ask for! 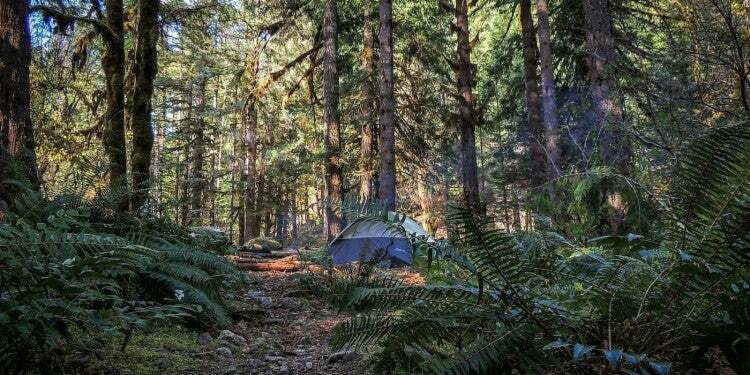 ?” — The Dyrt camper Ryan E.
This forested campground is what camping on the Oregon Coast is all about; mossy, misty mornings surrounded by trees and afternoons spent playing on the beach. Beverly Beach State Park offers convenient beach access and spacious sites. 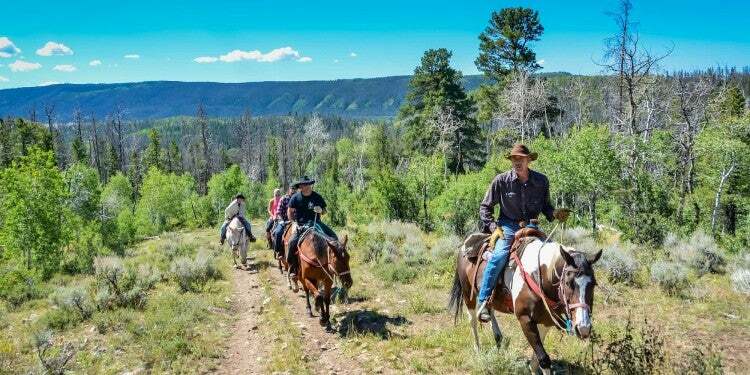 In the summertime, the park hosts a variety of programs for kids, so this is an especially popular spot for family RV campers. 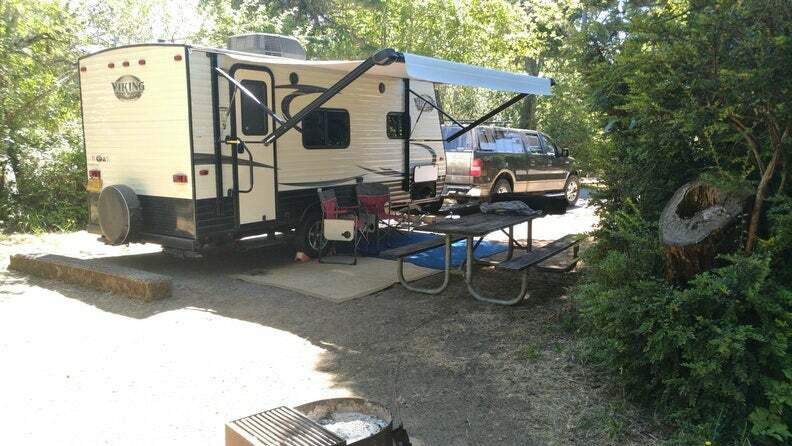 “If you are looking for a great, quiet campground on the coast this is the place. A beautifully maintained and tranquil setting. I will return many times to this beautiful area.” — The Dyrt camper Karen S.
Image from The Dyrt camper Christopher S.
If you’re looking to explore the charming seaside town of Newport, Oregon, known for Dungeness crabs, picturesque lighthouses, and a big iconic bridge, South Beach State Park is your spot to park. The town is full of things to do, from visiting the resident sea lions who lay in piles on the docks, to exploring the local aquarium, but you might just want to hang out at your campsite, which is just a short walk from the beach. “Immediately upon pulling into the grounds, the park was gorgeous- lush green shrubs, subtle salty sea breeze, generous space between campsites, and the friendliest rangers ever encountered!” — The Dyrt camper Carly M.
Enjoy every water activity you can think of at Sutton Campground with access to the ocean, Sutton Creek, and Sutton Lake. Prefer dry land? There are lots of hiking trails in the area as well. Sutton Campground offers 80 sites for a mix of tent and RV camping, and a selection of them feature electric hookups. The cost for a site with electric hookup is $29/night. 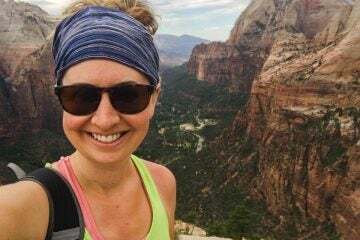 “Usually when I stay at a large campground I expect no privacy, and load campers. However I was very pleasantly surprised to find lush, dense vegetation that lend some privacy. 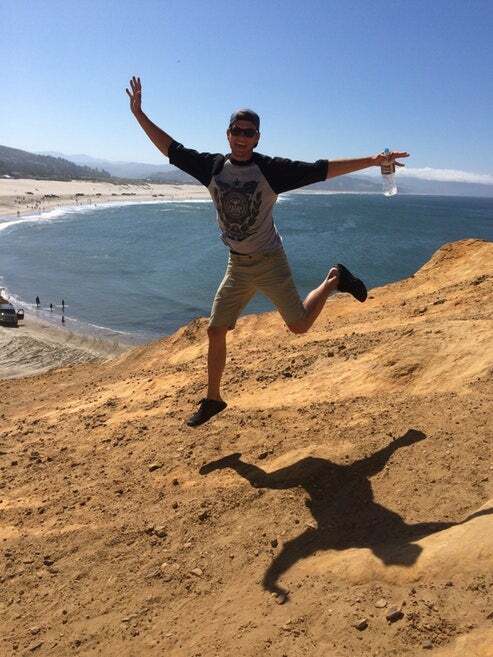 The place was clean, well maintained, with good sized campsites.” — The Dyrt camper Brandon A. Image from The Dyrt user Daniel S.
Coos Bay lies at the southern entrance to the Oregon Dunes National Recreation Area. From Sunset Bay State Park, you can explore the bay or head to the towering sand dunes — some are 500 feet tall. 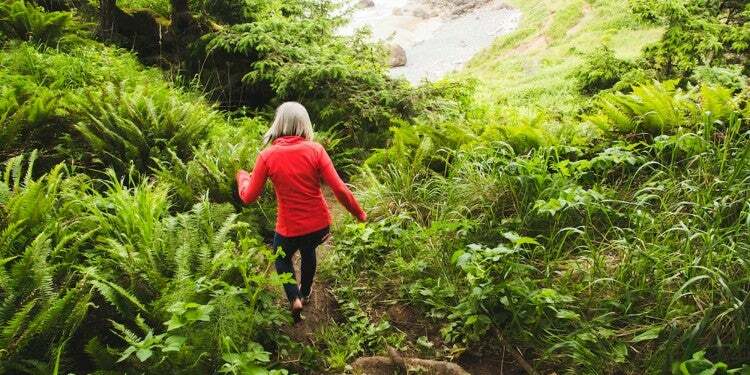 Coos Bay is also part of Oregon’s “Adventure Coast,” thanks to thick forests for hiking, nearby waves for surfing, and of course, the sand dunes. 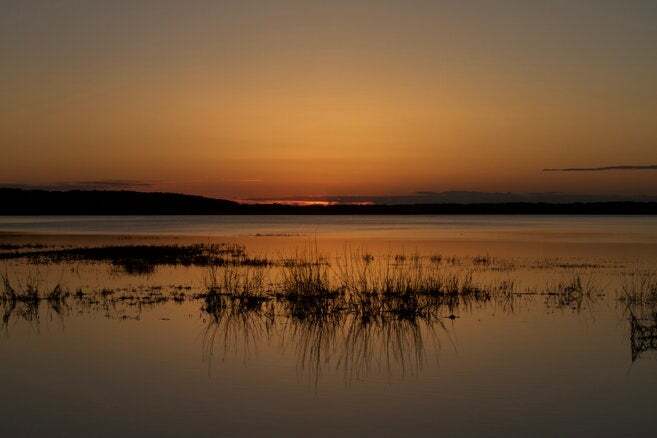 Sunset Bay State Park is right on the bay, so you’ve got a front row seat for sunsets. “This campground has arrangements for just about everyone. RVs, tents, hammocks whatever you got they will take you here. And make you feel right at home. 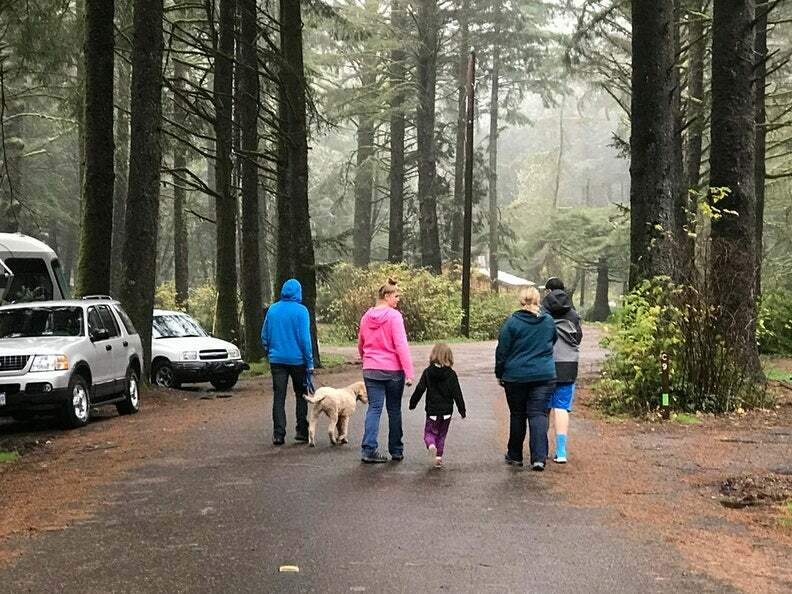 Coos bay and the surrounding beach area is absolutely wonderful.” — The Dyrt camper Daniel S.
This convenient campground is close to town, close to the beach, and chock full of amenities. Shore pines protect Bullards Beach State Park from the strong ocean breeze, and paved roads through the park make the shoreline easy to reach. Kids love the daily ranger talks. And if you’re looking to mix things up, take a night off from sleeping in the RV and enjoy one of the park’s yurts. This tent and RV campground includes 103 full hookup sites and an RV dump station. “We booked this park as its close to a couple of the Oregon coast’s Lighthouses and nearby Bandon Safari Park. The campsites were spacious and grass! A huge plus when camping with kiddos. The park was super quiet even when full which was great.” — The Dyrt camper Kelli B. 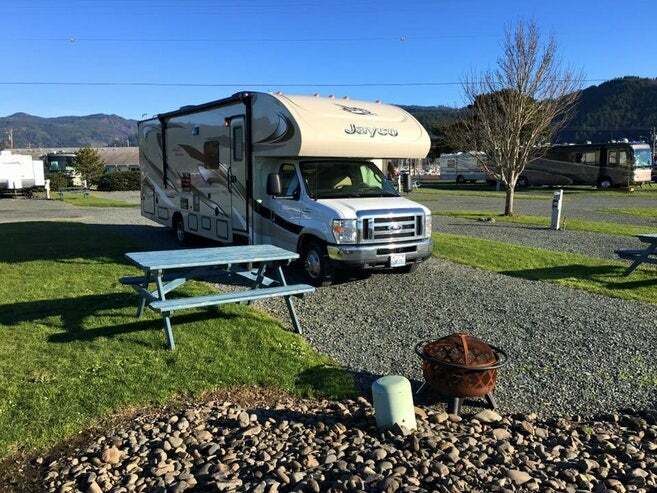 Explore Gold Beach from a comfortable RV campground with access to the coastline. Four tent sites sit right on the beach, so you could take a break from the RV for a night and fall asleep to the sound of the waves. Gold Beach is a popular destination for mountain biking, windsurfing, and salmon fishing. It’s the perfect example of Oregon coast’s wild side, where thick old growth forest practically touches the ocean. “You feel like you have your own place on the beach. 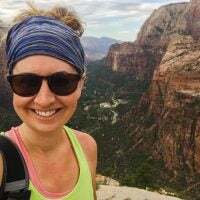 You do have to walk your stuff there but it’s totally worth it.” — The Dyrt camper Alicia F.
The entirety of Oregon’s coast is beautiful, but the southern coast offers even more aesthetic drama with thick forests pushing up against soft sand beaches and rocky vistas. 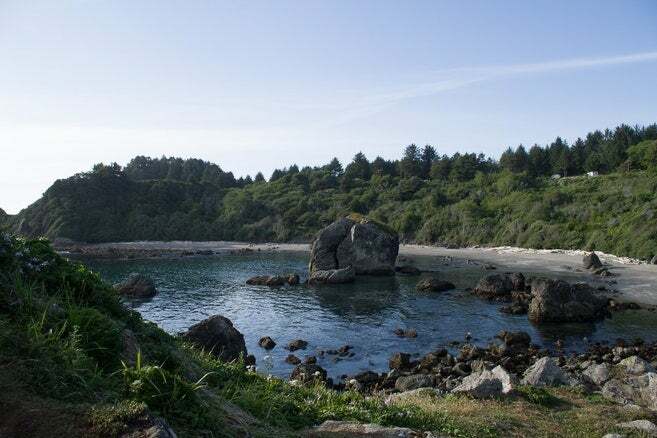 Explore tide pools at the beaches of Harris Beach State Park, or lay a picnic blanket on the beach to look for gray whales. Expect this park to be busy with both RVs and tent campers in the summer, but the crowds thin out in the winter when you can watch powerful storms blow across the coast. 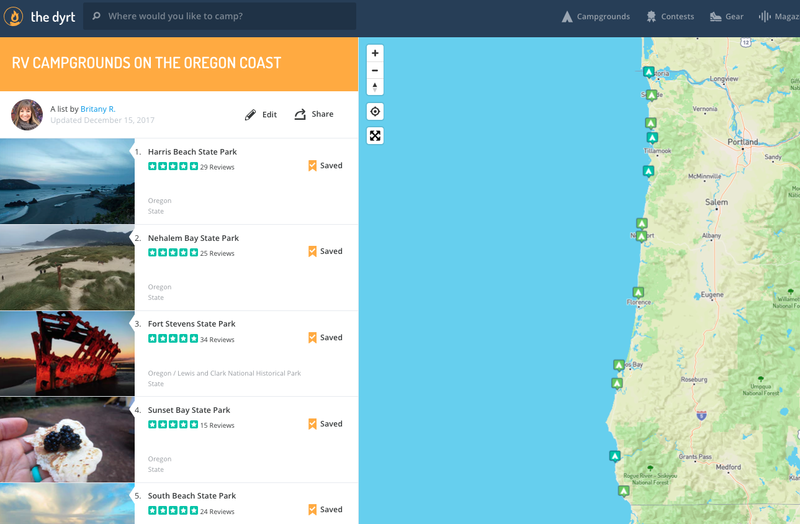 Ready to start planning your Oregon Coast RV road trip? 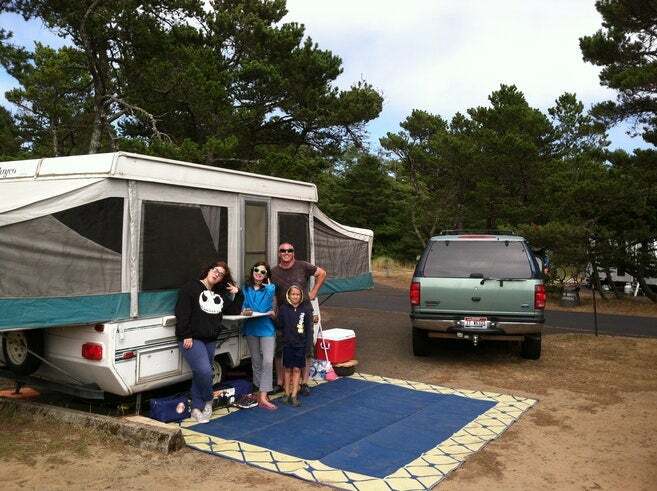 View our saved List of Top RV campgrounds on the Oregon Coast and you’ll be on your way!